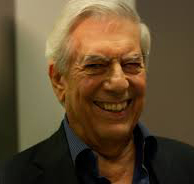 Since the early 1960s, Peru’s Mario Vargas Llosa (b. 1936) has been regarded as one of Latin America’s leading writers, a novelist whose books can be read as a modern-day saga of Peruvian and Latin American society. Among his more notable works are La casa verde (1965; Eng. The Green House), Conversation en La Catedral (1969; Eng. Conversation in The Cathedral), La tia Julia y el escribidor (1979; Eng. Aunt Julia and the Scriptwriter), Historia de Mayta (1984; Eng. The Real Life of Alejandro Mayta), and La guerra del fin del mundo (1992; Eng. The War of the End of the World). His 2001 novel, La fiesta del chivo (2001; Eng. The Feast of the Goat), re-created the final days of the dictatorship of General Rafael Leonidas Trujillo in the Dominican Republic and has been hailed as one his finest literary achievements to date. His latest awards include the Nobel Prize in Literature (2010) and the Order of the Aztex Eagle (2011). 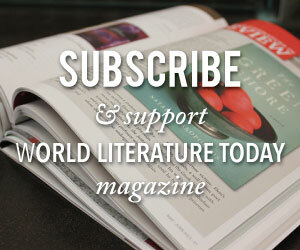 For more about Mario Vargas Llosa, see WLT, Vol. 76.1.